This climb’s our 2nd this year and officially our 4th mountain overall. First day hike though. 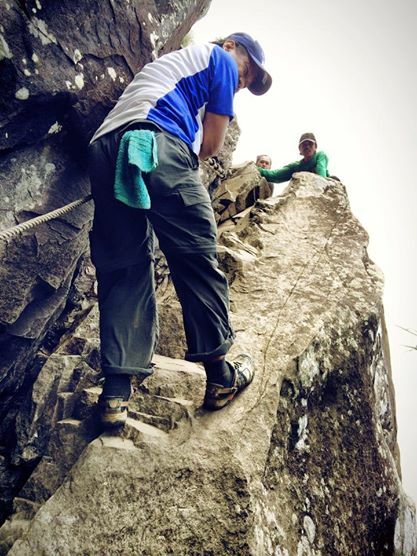 Pico de Loro is popular for beginners and dayhikers as they say but I still had a pretty hard time trekking this mountain and climbing the super steep monolith or Parrot’s Beak which is mostly the goal of climbing Pico de Loro. They’ll tell you that your climb”s not complete if you don’t experience being on top of that monolith which is in front of the mountain’s summit. We started our trek at around 6am after registering at the jump off point in Ternate, Cavite. We rode a bus from Coastal Mall in Pasay City at around 3am then arrived at Ternate, Cavite around 5:30am. Tricycle ride going to the jump off point or DENR post. You can even eat breakfast if you want coz there’s a sari-sari store, souvenir shop and carinderia in the area. That is also where hikers take a bath coz they have a number of restrooms where you only have to pay 5pesos. It rained the night before, hence, the muddy trail. 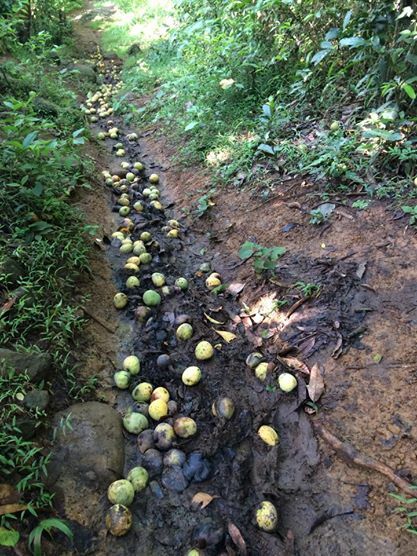 Look at the those fallen mangoes on the trail. It exuded a sweet rotten smell and a loooot of insects flying about. It made me hop from side to side faster just so I could get to the end right away. 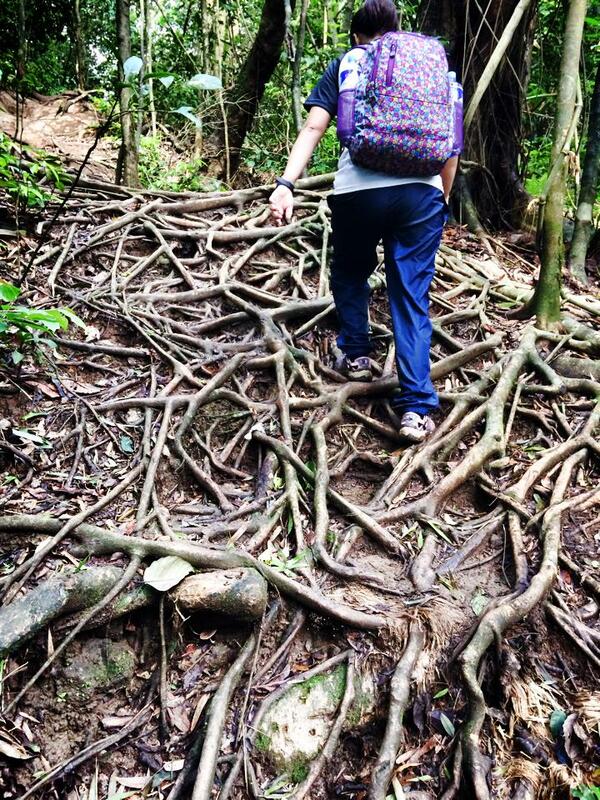 Here’s my friend Ley trekking through the tree vines. At this point we’re about 20-30mins away from the campsite. My Dad, who was the sole reason why we all got into this, showing us how to rappel up the steep rock going to the monolith. He climbed the monolith twice! First alone, then second was with us. Me at the summit in front of the monolith or Parrot’s Beak. I was already satisfied just being there coz it seemed impossible for me to ever get on top of that monolith. It was my Dad who insisted we all go and so we did. Priceless experience yet again! Thank you Papa! Since it was a day hike, no camping and all, we got back to the DENR post past 5pm. It was a good ol’ tiring 11-12hrs. Worth it but I don’t know if I’d go through it again. I need to lose a lot of weight first. The business of runn… on Run for your Health!!! Winning Time! | meda… on Run for your Health!! !